Braces – they aren’t just for teenagers anymore. And it seems like there has been a flood of new options being advertised recently. You’ve likely heard of Invisalign. You’ve likely seen the ads for teeth straightening products you can send away for through the mail, You’ve definitely seen traditional metal braces on countless teens, pre-teens, and even adults. With so many options, how do you know which one is best? We’re here to help! Here’s the low down about your options when it comes to braces. Invisalign is an orthodontic system that uses clear, removable, aligners to straighten teeth. The biggest appeal of Invisalign is that they are discreet, making them perfect for adults and active teens. Not only are they more discreet, they also allow you to keep eating your favorite foods, to stay active in the sports and activities you enjoy and they make it easier to care for your teeth during orthodontic treatment. Traditional braces are the metal brackets and wires that come to mind when talking about orthodontics. The brackets are cemented to the teeth and the wire is adjusted to encourage the movement of the teeth. While often referred to as “metal” braces, there are also ceramic braces that are tooth colored and more discreet than traditional silver metal brackets that offer the same durability, strength and effectiveness as their metal counterparts. Ultimately, the goal of all orthodontic treatment is to help you achieve optimal oral health. Straightening teeth is more than just looking good, crooked teeth and misaligned bites can impact not only how you feel about yourself, but can also impact your speech, your ability to chew and the function of your jaw. While both traditional metal braces and Invisalign help straighten teeth, one option will often be preferred by your dentist. All of these factors will lead the dentist or orthodontist to suggest the right type of treatment for you. 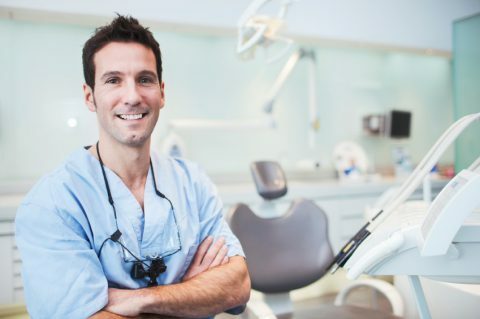 And, working with a dental professional will not only help you choose well, they will be there every step of the way to ensure safety, health, and a successful outcome. Do At-Home Clear Aligners Work? Invisalign has made teeth straightening discreet and fast. There’s no wonder why people are excited about them. It’s also no wonder why competitors have come along offering cheaper, and “easier” options, such as at-home aligners. These aligners have you submit a mold of your teeth and send away for a series of teeth straightening aligners. Sounds good right? Not so fast. The problem is that all of the evaluation done by a dentist, the evaluation that helps your dentist determine which braces treatment is best for you, is completely overlooked. Often patients end up purchasing a promise, but there is not a dental professional backing the experience to ensure it goes correctly. This can result in the aligners being ineffective and costly. 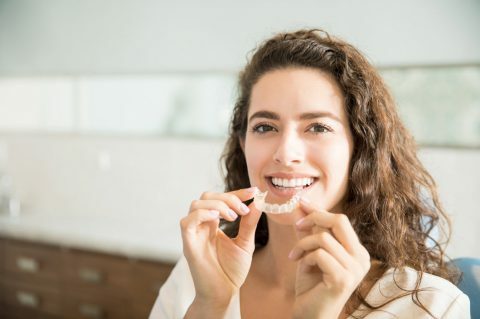 Worse, moving teeth through DIY methods, including dental trays and clear aligners, without dental supervision can be more harmful than good often leaving patients with bite problems they didn’t have before. A better solution? See your dentist for a check-up, get a professional diagnosis, and follow up with support and treatment to get the outcome you desire. Concerned about cost? Understandable, but don’t let it deter you. Your dentist can help you maximize any insurance benefits and nearly all will offer some kind payment plan. If you are concerned about crowded or crooked teeth, or about extra space between your teeth, contact PERFECT TEETH for a free orthodontic consultation at 844-717-9588 or find a dentist online here. Your dentist will check the health of your teeth, gums, and mouth and make recommendations to ensure you have a safe, healthy and effective orthodontic experience no matter which option you choose. Reviewed by Dr. Ted Moore, Orthodontist at PERFECT TEETH – Monaco.